education has helped Denise King to have a greater perception of the issues both personal and business that people face. Having downsized and using up to date technology she gives personal attention to clients to ensure quality service. Denise King has been awarded a Master of Laws (honours) by research on family and de facto law from a cross-discipline approach - law and psychology. A study guide and precedent orders written from her research can be purchased on www.documentsonline.com.au. Prior to completing the Master of Laws she studied a Bachelor of Laws (graduate), a Graduate Diploma in Legal Practice and a Practice Management Certificate and has been admitted to the Supreme Court of New South Wales and the High Court of Australia, as well as practicing in the Family Courts of Australia. She trained as a mediator in 1991 and acted as a mediator until 2012. Although she no longer practices as a mediator she still uses the techniques in negotiating agreements and has led workshops in Australia and USA on conflict resolution. She also has a BA and Post Graduate Psychology and Counselling. Denise King established Erina Legal Services Pty Ltd trading as Erina Legal in 2003 with her son Craig Brown. 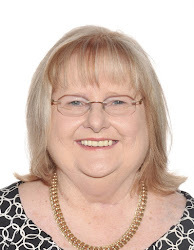 Her other son Wayne Brown joined the firm in 2014 as office manager and conveyancing clerk. Erina Legal Services provided services in Family and De Facto Law - property, children, businesses, legally binding financial agreements pre marriage, during marriage and post marriage, conveyancing, business contracts, independent advice on and preparing contracts, civil litigation, workplace disputes and employment law, leases, trusts, wills, power of attorney, enduring guardianship with advance directives, probate and estate claims, mediation. Denise King ceased trading as Erina Legal Services Pty Ltd trading as Erina Legal in January 2010 when she downsized, and traded as Denise King @ Erina Legal & Denise King & Associates Law Firm until 2014 when she again registered the business Erina Legal. While also acting in some other areas of law, Denise KIng has specialised in Family and De Facto Law since 2000. She also trained and provided services in family and general mediation, teaching communications & conflict resolution to various industry courses at TAFE, and family and personal counselling for 10 years before becoming a lawyer in 2000. She had articles published in the Australasian Dispute Resolution Journal on Family Law Specialists in 1999 and Internet Mediation in 2000 at the completion of her Bachelor of Laws degree. She later completed her Master of Laws (honours) with research on Family Law from a cross discipline approach - psychology and law. Denise King completed mediation training with UNIFAM in 1991 being one of the first family mediation programs in Australia at the time. She worked as a family mediator for UNIFAM then privately, and extended her mediations to employment situations and family conflicts. She studied a unit of a Post Graduate Diploma in Conflict Resolution - studying counselling, mediation, arbitration and litigation in 1992. She attended international internet conferences on internet mediation, as well as seminars organised by LEADR, UNIFAM, and Relationship Australia. She has practiced as a family and general mediator, developing her own style of mediation being a conciliatory mediation after becoming a lawyer. She continue to use the principles of mediation, counselling and negotiation in her law practice and is committed to endeavouring to obtain negotiated agreements for clients without having to proceed through the Family Courts, although she does represent clients at court with the assistance of an experienced barrister. Denise King's experience and research has resulting in observing that court proceedings are very expensive, have long delays and often do not result in outcomes that parties are happy with. There is a lot of stress and financial loss for all involved. However, in some cases of high levels of conflict they are necessary. It is that high level of conflict and dispute that results in additional costs and stress. Denise King uses negotiation conferences with lawyers and their clients where possible, with both lawyers assisting parties to discuss the facts and realities and decide on options of agreement that they can both accept. While the use of a third party mediator is beneficial, if both lawyers are willing to assist clients to come to an agreement, it is more cost effective to have such conferences. The alternative is that such conferences occur at the court while waiting to be heard by a Judge. There are long delays to get court hearings, so it is much more preferable to do those negotiations in the legal offices without waiting to do the same thing at the court. Financial advisers or accountants can be included in the conferences or mediation for financial issues, or can provide advice to their clients separately which the clients can provide to their solicitor and bring to conferences. Pre-nuptial agreements, marriage or de facto agreements, extended family agreements, and separation agreements are all much cheaper and less stressful than court proceedings. Despite media publications of financial agreements being overturned by courts, this only happens in a very few cases. Provided there is no fraud, non-disclosure of assets, no coercion and people negotiate fairly with the agreement well written and checked by both solicitors, it is highly unlikely that an agreement will have to be overturned by a court. In some cases, if there are major changes since an agreement was written, that were not contemplated in the agreement, an agreement may be overturned. However, when there are major changes, as for Wills, a new agreement should be made and the old one will no longer apply, so no need for a court to overturn it. The assistance of a lawyer who has life and counselling experience, psychological education, and legal education and experience to provide objective and practical advice is beneficial in considering contingencies that may occur in the future, and to guide clients into considering better options than arguing or trying to overpower, get revenge, and get the best they can for themselves, which may result in an agreement that will break down in the future, and may even be challenged at Court if the legalities of the agreement are not complied with. Before studying law and mediation, Denise King completed a Bachelor of Arts degree with major studies in all areas of psychology and in education and counselling, followed by a Post Graduate Diploma in Psychology and Counselling. She did not complete the final research because because of personal and family issues, however did have a proposal approved which she was later to use and elaborate on in her Master of Laws Thesis from a psychological and legal view. Denise King completed TAFE certificates in Basic Methods of Instruction prior to studying law, and a unit of Training and Development in a Bachelor of Business degree. She taught communications and conflict resolution to various industry classes at TAFE and provided services in mediation and counselling privately. She has provided a number of seminars on family law and mediation. Prior to and while completing her Bachelor of Arts degree she worked for IBM Australia Limited in the Computer Engineering Education Department where she received a World Trade Administration Achievement Award. She also worked for the Education Department and Health Services in senior administrative positions.